I used to rush through summer. I was never really a summer kid. My artistic sensibilities meant I spent a lot of time indoors drawing and dreaming up new worlds, creating landscapes with the blankets on my bed for my toy dinosaurs to roam. It was incidental that the sun was shining and the birds chirping. I really didn't care that much. 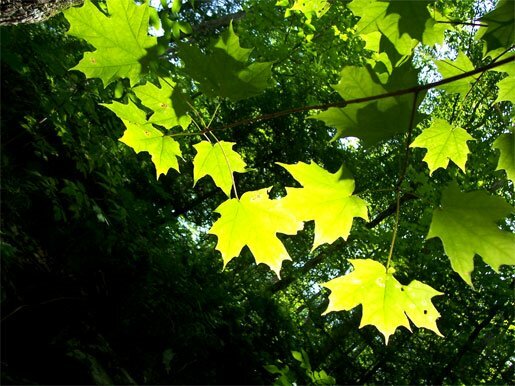 As I age, though, I find myself more drawn to the summer season, the intensity of the light, the warmth of the sun and especially the amazing virtues of nature, which just jump out all over the place in the summer. 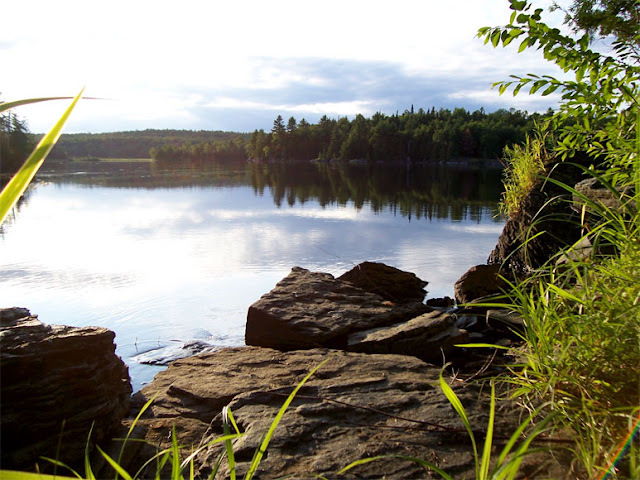 Below are some summer photos I've taken at the cottage in the summer. Hopefully you'll feel as nostalgic for those long days, sweet scents and beautiful scenes as I do. 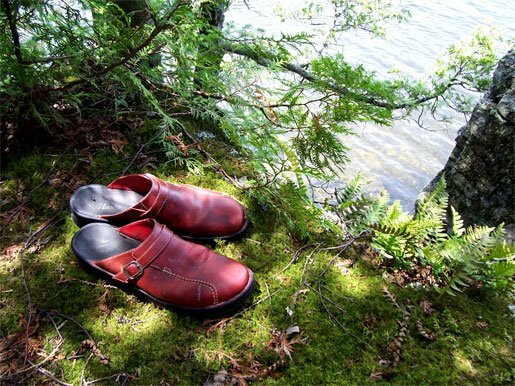 My mom's red clogs by the water. 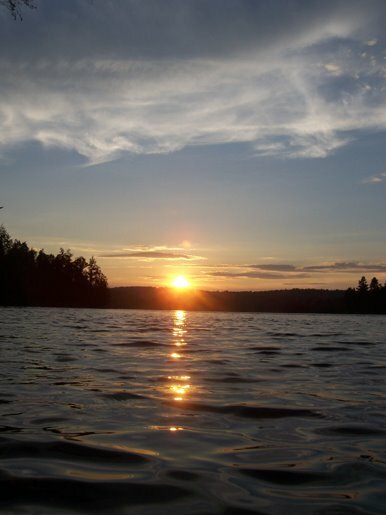 A glorious sunset on the lake. Everything is rustic here, which is so much a part of the atmosphere. 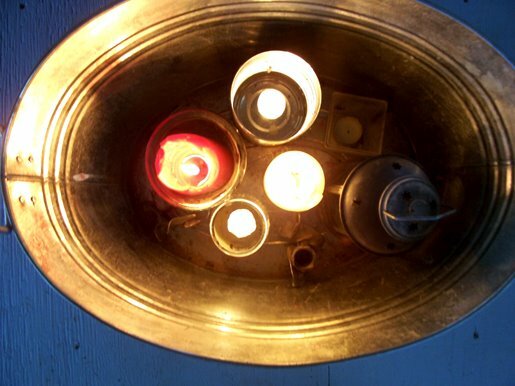 No electricity yet means lighting with candles, like this collection in a galvanized tub. My dad putting some finishing touches on the porch. 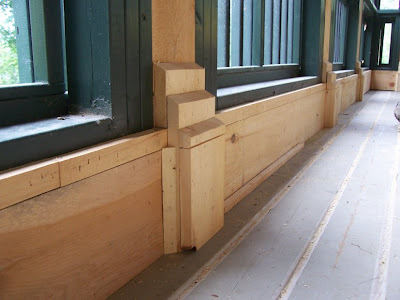 Baseboard moldings, improvised and made by hand, are still rough and raw. 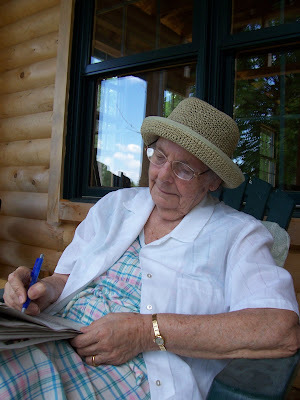 My Nana enjoys a crossword puzzle on the porch. My mom enjoys a swim. 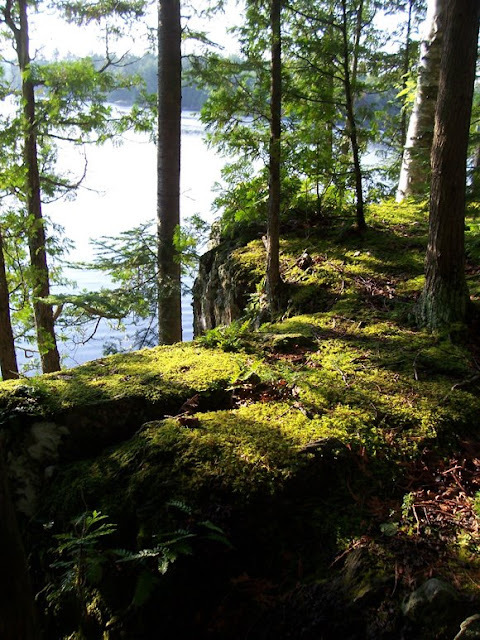 A mossy carpet on the boulders near the lakeside. 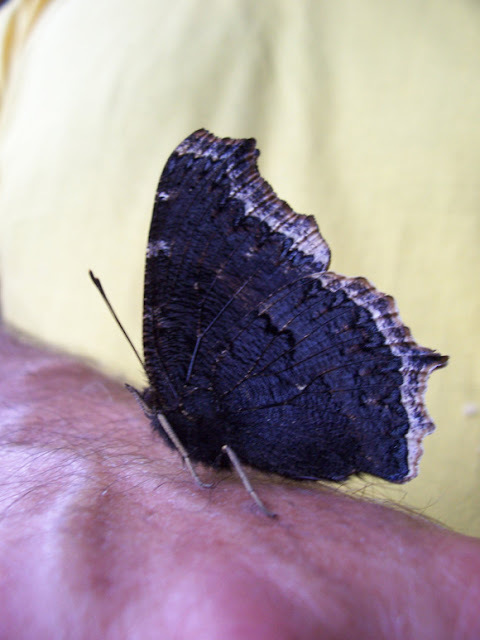 A morning cloak butterfly on my dad's hand. An inviting vista. This is where we enter the lake to swim. 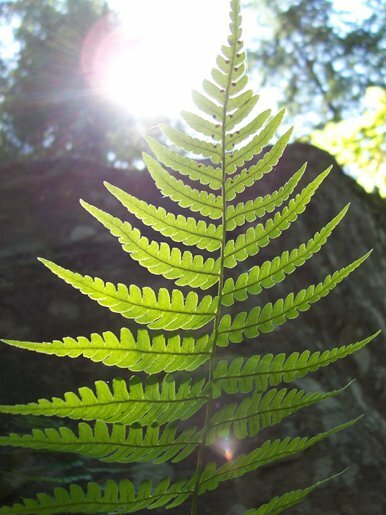 Sunlight through translucent leaves is a summer wonder. 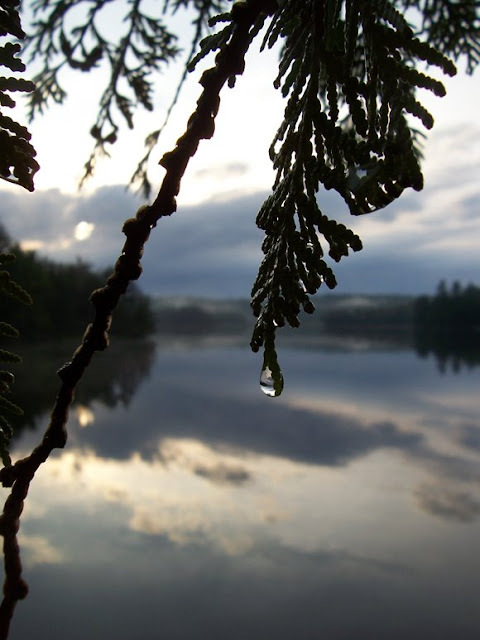 A rain drop clings to life on the tip of a cedar branch. Still waters reflect the setting sun. 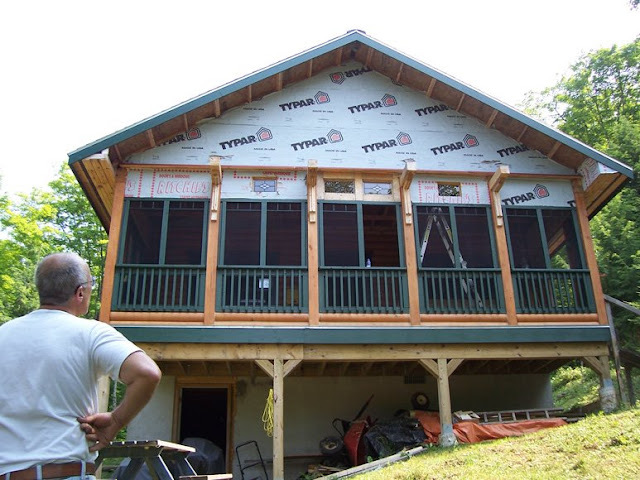 My dad surveys the cottage and assesses what still needs to be done. 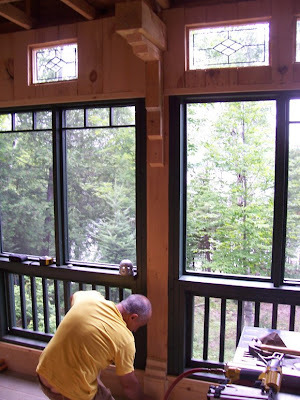 All of the logs of the cottage had to be sanded by hand and then stained. My parents' dog, Molly. Sweet as can be! Love your pictures of the lake. 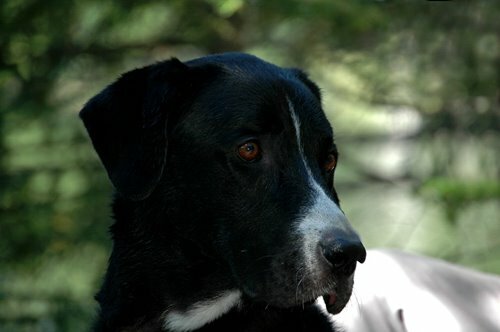 Just got back from Clear Lake in Riding Mountain National Park myself. Great place to relax and unwind. Here's to a great Fall! better than skylands, i love it! 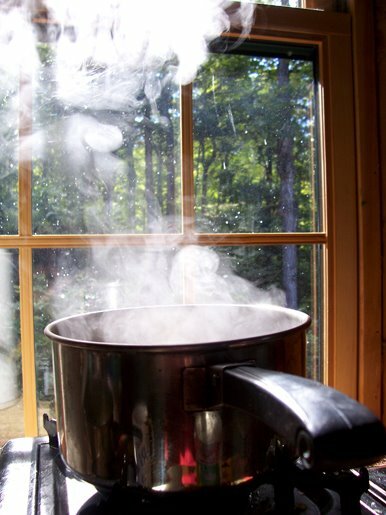 I felt like I was at the cabin through your photos and writing. Thanks for sharing! What a great place. Thanks for sharing your pics! The photos are beautiful, Andrew. The cottage is going to be wonderful when it is done! excuse me for asking but how big a chunk of change would something like that cost a flatlander?? I'm not sure, Anonymous. You'd have to ask my parents. 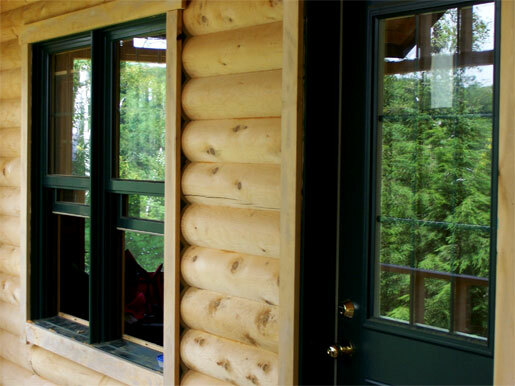 Iknow cottage prices vary from region to region. 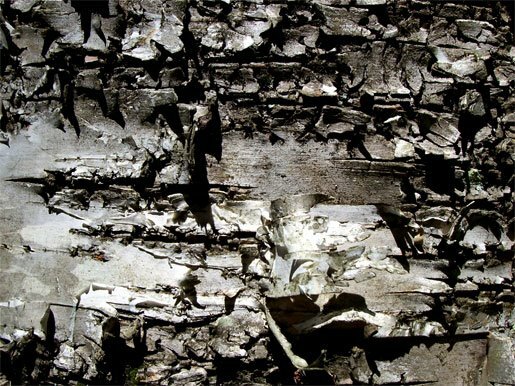 Factors like lot size, cottage size, waterfront footage, indoor/outdoor features, 'winterizing' and such all play factors.